There’s so much confusion about tithing. 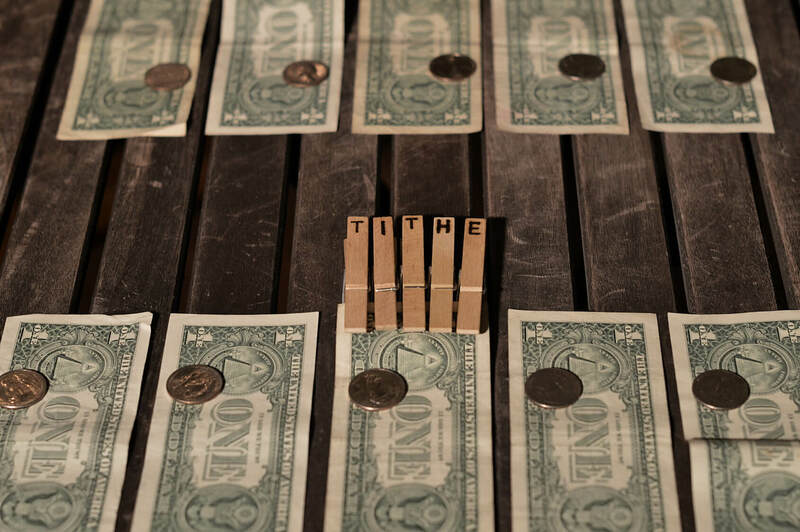 Opinions abound about whether Christians should tithe. Some say Christians shouldn’t tithe because God implemented it under the law. Others argue preachers teach tithing to swindle folks out of their money. Both are wrong. I struggled with tithing for years. My parents didn’t tithe, and most people I knew growing up didn’t. What I saw growing up was people giving God dimes, nickels, dollars, or five dollars during offering time. They never gave more than that amount. I even remember my father saying he wasn’t giving the church his money. That was my introduction to tithing. I started tithing after I became a committed Christ follower and received better teaching about tithing. Even then, I still struggled with tithing. I started tithing earnestly after an experience I had. Before I share that experience, I’ll share a few things from Scripture on tithing. No experience should be received as from the Lord unless Scriptures support it. God implemented tithing before He gave Moses the Law. He instituted tithing in the Garden of Eden when He placed Adam in the Garden and instructed him to eat freely from every tree except the tree of knowledge of good and evil (Genesis 2:15-17). The Bible doesn’t indicate this tree was inherently distinctive. It was unique only because God set it apart. I believe it represented a tenth of all the trees in the Garden. God wanted Adam to work on it but not eat from it. That’s the principle of tithing. Unfortunately, Adam violated the principle of tithing when he ate from this tree. A curse on all creation followed his act of disobedience (Genesis 3:16-20). Humans have suffered ever since. Abraham tithed a tenth from the spoils he collected after defeating several hostile armies to rescue his nephew Lot. He tithed to Melchizedek the High Priest, who blessed Abraham reciprocally (Genesis 14:18-20). Abraham became a very wealthy man as he continued honoring God through tithing (Genesis 24:35). Abraham lived four hundred years before the Law of Moses. Jesus endorsed tithing in the Gospels (Malachi 23:23). And He didn’t amend its practice as He did with other Old Testament traditions. Isaac, the son of Abraham, was a tither. Presumably, Abraham taught Isaac to tithe. Isaac became such a committed tither he tithed even during a harsh famine. And like his father Abraham, God honored Isaac by blessing him abundantly. Isaac became a very wealthy man (Genesis 26:12). The samples I cited above show people tithing to honor God, not from obligation to the Law. Tithing was their delight, not a duty. God enacted the “law of tithing” in the Book of Leviticus to provide revenue for the maintenance of His temple and the priests (Leviticus 27:30). The temple was a critical part of the culture and life of Israel, and it needed financial support. God’s method of generating that support was through tithing (Malachi 3:10). Jesus endorsed tithing in the Gospels (Matthew 23:23). And He didn’t amend its practice as He did with other Old Testament traditions. He let it stand without qualification. His unqualified endorsement should settle the tithing issue. But for those who need further evidence, remember Paul the Apostle also endorsed tithing (Hebrews 7:8). God showed me I should tithe in a dream. I had the dream during a period when I was not tithing consistently. I don’t believe God gives us every dream, but God surely sent this dream. Here’s the dream. I saw two ravenous and vicious dogs enter my house. The dogs attacked me but never destroyed me. God revealed to me the dogs represented the devourer He warned Israel about in Malachi 3:10. God used the dream to get my attention. I haven’t failed to tithe since. A few weeks after I began tithing consistently God gave me another dream that showed those same dogs leaving my house. I would have rejected this dream if it were not supported by the Word of God, but it was consistent with the Word of God. It was God speaking directly to me about tithing. It convinced me that Christians should tithe. God owns everything and allows us to be stewards of what we possess. We manage our stewardship correctly when we honor God with a tenth of our income. God also empowers us to get wealth. The least we can do is show Him our appreciation by supporting His work in the earth by tithing. But our tithes shouldn’t be the most we give God; it should be the minimum. God promises we won’t regret being consistent tithers (Malachi 3:10-12)! Do have an example in the word of Jesus tithing or receiving the tithe?